In today’s News & Notes, Shea Weber has returned to the ice for the Canadiens, Austin Watson has had his suspension reduced, the Canadiens have a new partnership and James Van Riemsdyk has been placed on the injured reserve. It may be early and just the first of what will be many steps in the road to recovery for Weber, but the Canadiens’ are very encouraged with the progress that their newly-named captain has made to this point and are happy that he’s returned to the ice. While it wasn’t a formal skate, it was still encouraging for the team to see Weber back on skates for the first time since undergoing surgery in the summer. 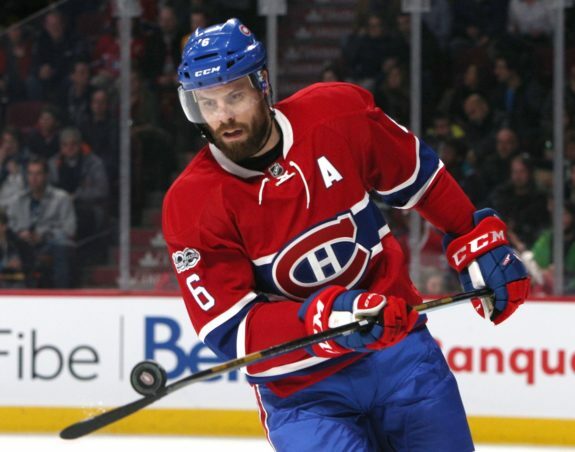 Weber is still expected to remain out for another two or three months due to this injury but his presence alone is huge for the Canadiens who could benefit from his leadership even if it isn’t during games. Giving the team this sort of boost in confidence and morale heading into their home opener is also a positive for the team and should go a long way as the Canadiens already appear to be a totally different team than the one that finished the season last year. 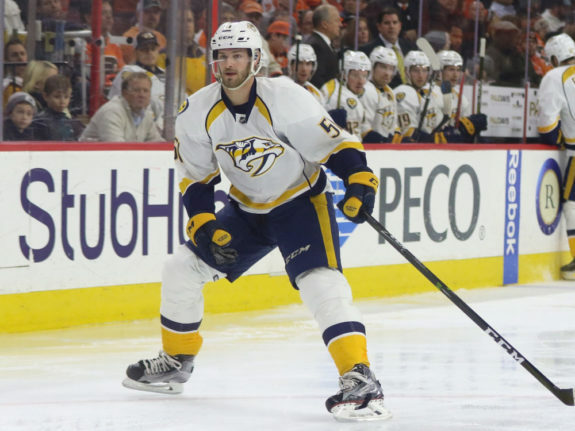 Nashville Predators’ forward Austin Watson has had his 27-game suspension reduced to 18 games by NHL/NHLPA neutral arbitrator Shyam Das. Watson was given the original 27-game suspension for a domestic violence incident that took place on June 16. This news comes just one day after Watson was allowed to be present on the ice for the Predators pre-game ceremony for their home-opener. The Montreal Canadiens Children’s Foundation is proud to announce a new partnership with itravel2000.com for the activation of its 50/50 lottery during the Montreal Canadiens’ games at the Bell Centre. With their commitment to donate $225,000 to the Foundation over the next three years, itravel2000.com becomes the official presenting partner of this fan-favorite fundraising program. Like most foundations, non-profit and amateur sports organizations, the 50/50 raffles at the Bell Centre provides the Montreal Canadiens Children’s Foundation with a significant tool to raise additional funds towards achieving its programmes and initiatives, such as the construction of the BLEU BLANC BOUGE outdoor rinks in underprivileged areas and continue to provide financial assistance to charities throughout the province working to help children embrace a healthy and active lifestyle. 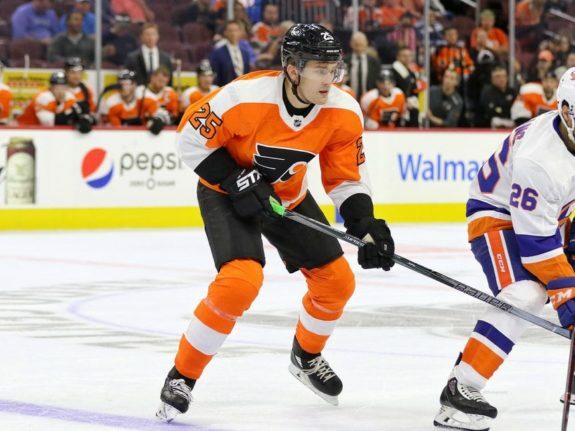 The Philadelphia Flyers have placed Van Riemsdyk on the injured reserve following the news that the team would be without him for 5-6 weeks due to a lower-body injury. The injury occurred when Van Riemsdyk was hit by a shot from Colorado Avalanche’ defender Mark Barberio on Saturday night. Van Riemsdyk is in the first year of a five-year, $35 million contract with the Flyers in his second stint with the team following his time with the Toronto Maple Leafs. Van Riemsdyk has been one of the NHL’s best power forwards in recent years and his loss is a big one for the Flyers. Still, it’s better that this injury is happening now and not down the stretch. It should also serve as an opportunity for the Flyers to test their depth early in the year.